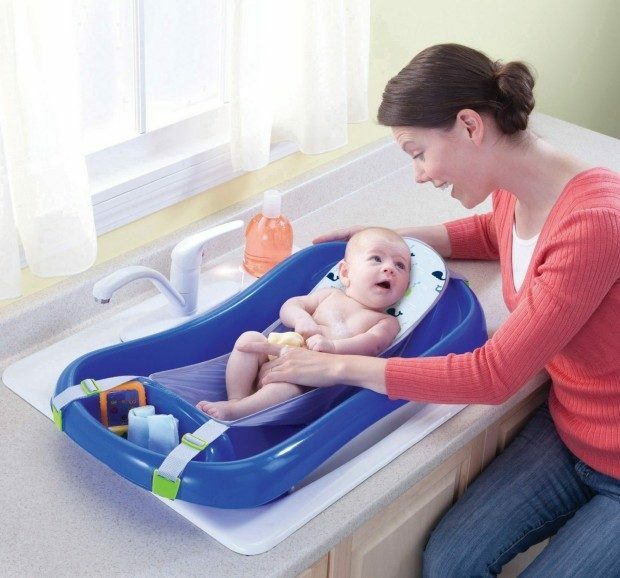 The tub’s deep ergonomic design holds baby better for bathing, with a mesh sling and padded headrest to provide extra comfort and support to cradle newborns. The form-fitting netting provides security, making bathtime less stressful for both parents and baby. Once baby grows, they can sit up comfortably and have room to play on the toddler side. No wonder moms love it so much!